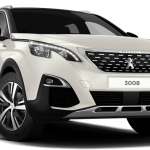 The Peugeot 3008 SUV is packed with a wide variety of high quality equipment, and it offers a fantastic value proposition for a buyer. If this is your first car or if you haven’t bought a car in awhile you may be surprised to discover that a modern car has fewer instruments than you would expect. 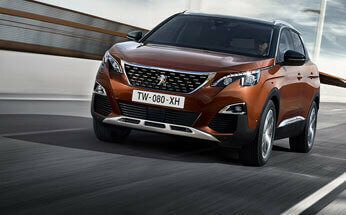 A well designed modern car panel is designed with simplicity in mind, and the new Peugeot 3008 is no exception. In this article, we will take a look at how to read modern car instruments. This useful gauge will give you instant feedback on how fast your engine is currently spinning. 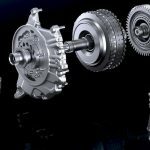 If you’re driving an automatic transmission, this will not be too useful, but if you drive a manual or an automatic in a manual mode, it will be very helpful. If you know what the engine revs are you can keep the engine operating in its most productive range and improve performance. 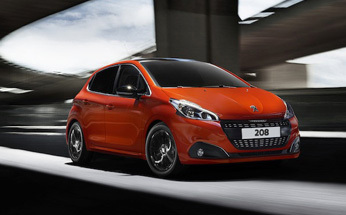 The Head-up Display (HUD) is a small screen that’s projected onto the base of your windscreen. It’s set at eye level so that it’s easier to read and it contains a wealth of useful driving information. 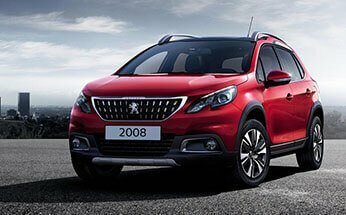 An entry level unit will typically display very basic information, but the 3008 HUD is quite sophisticated showing details, such as distance alerts, speed limiting, cruise control information and the current speed. The HUD can easily be configured for drivers of different heights, and it can be adjusted for differing lighting conditions. Once you get used to using a HUD, you will wonder how you ever drove without it. Because of the simplicity in your modern i-cockpit instrumentation, it will become immediately apparent if there is some kind of problem. If an issue becomes more serious, you will be bombarded with warning lights that demand your attention. If this happens, it’s essential to treat the situation seriously; we will outline some of the possible causes below and give you some useful hints on how to proceed. Generally, a yellow or orange warning is less serious, but it should be investigated soon, and a red warning requires immediate attention. 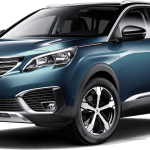 Suffice to say, in most cases; it’s a great idea to get your Peugeot 3008 checked out by a qualified mechanic. The Engine Temperature: If the temperature gauge has raised up into the red this is a sure sign that your engine is running too hot. The Oil Pressure: A tiny red oil can warning lights is informing you that the engine doesn’t have enough oil or there is a lack of oil pressure. If this is ignored, it can easily lead to a dead engine that will be expensive to replace. Tyre Pressure Warnings: This will be displayed when one or more tyres are running with a lower than normal tyre pressure. This is easy to correct by re-inflating to the pressures shown on your tyre pressure placard and in your owner’s manual. 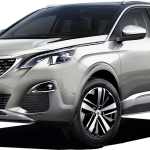 If you’re looking for the latest new Peugeot 3008 model visit Perth City Peugeot and we will be happy to arrange a no obligation test drive for you. 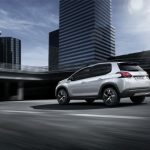 Is it Illegal to Drive Your Peugeot 5008 Under the Speed Limit?